Bet72 caught up with the brains behind Geegeez Gold, Matt Bisogno and asked him for the low down on the site, the service and this amazing 30 day free trial offer. If you’re not yet a Gold subscribe – or on a trial – you’ll find the answers to some of the most frequently asked questions below. I hope they help you make a decision because time is running out fast. What exactly is Geegeez Gold? Gold is a collection of tools, tips and race cards designed to suit horse racing and betting fans of all levels of experience. Its flagship tipping service Stat of the Day is over 250 points up since inception (and selected a nice 4/1 winner for Gold subscribers yesterday). Stat of the Day is well supported by Double Dutch (two winning days in a row, and just broken through the 100 points profit barrier); and The Shortlist, which is a value-finding report available each day. The feature-rich Gold racecards; incisive winner-finding reports; and tools like Pace Analysis and Instant Expert are arming punters with more information than ever before, and doing it in a really simple to digest way. If you don’t yet have a Geegeez account (i.e. you haven’t registered on the site), select the New User button on that page. If you’re already a Geegeez free subscriber, select the Upgrade button. for those with a bit more time/experience, check out the other reports, as well as Pace Analysis and Full Form Filters – these are industry-leading form tools. I’m currently using Racing Post / Timeform / At The Races / Sporting Life cards. What’s so great about Gold compared to those? Without meaning to sound rude to those established names, their development has been rather slow, and their owners are somewhat complacent. Geegeez Gold has THE BEST racecards in Britain, bar none. I don’t expect you to believe me, that’s why I’ve offered you three weeks to see that for yourself. Our range of information, all presented in a really easy to use fashion, is miles ahead of some of those ‘brand names’, and furlongs ahead of all of them. For example, you’ll not find colour-coded form profiling anywhere else. You’ll not find easy to understand pace maps on any of those sites. You’ll not be able to quickly and easily drill down into the heart of a horse’s relevant form anywhere else. Gold is different. Gold is better. Much better. What if I don’t like Gold, or can’t get on with it? No problem. Despite everything, we know that Gold won’t suit all types of bettor. 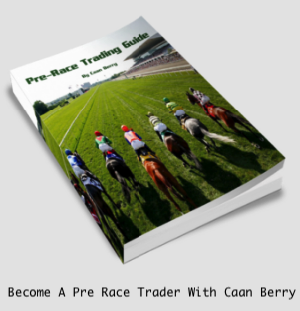 Although we have pulled together an envious collection of tips, tools, racecards and reports that make money – and are time proven to do so – it might not be for you. Why do you ask for my payment details if it’s a free trial? No problem. Drop me a line at info@geegeez.co.uk and I’ll be happy to answer any further questions you have. Thanks again for taking time to consider Geegeez Gold, and I’m glad at the very least that you’ve now heard of it. Because I think it’s something you’re going to hear a lot more about as the year goes on.